Touch screen devices have become popular, and as the days go by, more and more innovations are coming live. You have seen smart phones and fridges among others being operated by just a touch. There is a lot you wish you would do on your monitor and with touch screen computer Malaysia innovation, this has become possible. Touch and swipe on your screen to increase productivity. 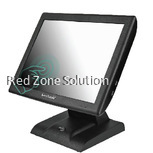 One of the best monitors is the SureTouch POS Touch Screen Monitor that is made of aluminium alloy and is durable. Its shell stand has made it popular considering its durability; it helps in saving on space and has an effective heat disperse. Its slim and static free which offers the best convenience. If you prefer specific angles, this monitor offers adjustable viewing angle of up to 90 degrees. SureTouch Pro STP15, All in One Touch Screen Computer, is another great option if you are looking for a touch screen monitor Malaysia. With a tilting angle of between 35 to 90 degrees, the monitor is adjustable as per the users’ preference. Its weight of between 6.65 to 8.85 kg makes it possible to carry the monitor from one point to the other. Its display area is of 15”, the colour resolution is 16.7M and the contrast ratio is 600:1. The work condition, the system, and the main technical parameters makes it a great touch screen monitor to have. When you have devices that you value and especially a computer all in one Malaysia you want to keep them as secure and as clean as they should. 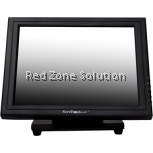 The Suretouch Sl Lite 15" Touch Screen Pos Monitor has a SureTouchTM 5 Wire Resistive Touch Panel that is dust and split proof. The monitor gives you a wide range tilt of up to 90 degrees to suit the viewing angle that you prefer. Its slim and static free which helps in saving space especially when space is a problem in your office or apartment. It is made of aluminium alloy with a durable firm shell stand to ensure that it does to bend over. It has an effective heat disperse and on each point of the monitor, it has a 35mil touch. Are you looking for ease of use and accessibility to your monitor? Get a touch monitor Malaysia. They are durable and offer a wide range tilt. Using touch screen monitors will reduce the errors you make on keyboard. They are also durable and dust proof to improve their life. 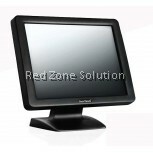 Click Here to View All Kind of Touch Screen Monitor.